Ready to buy a Vine account? For those of you who don’t know, Vine is a short-form mobile video sharing service. Started in 2012, it quickly became a worldwide hit, and just a few months after its conception it was acquired by Twitter. Vine was the most popular mobile application of 2013, and its user base continues to grow every day. The app allows users to create short 6-7 second videos, that you may later share through other social networks like Facebook or Twitter. You can also interact, chat, and discuss with other Vine users inside their platform. Just like on Facebook users can share (re-vine), comment, and like videos which are categorized by hashtags. Vine accounts with a large following can help you reach millions of people in a fun and creative way. If you believe a Vine account is something you could use then give us a try, we will do our best to find a suitable account in your respected niche. Update: Since Vine.co is shutting down, we cannot offer anything substantial for your account. Could a Vine account help your business or website? So what can a Vine account do for your company, brand, or business? While it may seem impossible for your company to utilize this social platform, thousands of online marketers will tell you otherwise. It takes a different approach vs. other social platforms, but the potential is there. A simple Google search will reveal countless ways of promoting on Vine. Content goes viral quite easily, with almost no reach restrictions. The ability to share across all social platforms gives it an edge over the competition. Huge userbase and activity. The whole platform is buzzing with life, it is easy to engage your audience. One time investment and you can promote forever! Unlike YouTube ads where you pay for each view. Cheap to buy, Vine accounts aren’t that expensive. 6-7 second video restriction makes it tough to get your message across. Hard to funnel direct traffic, unless you’re creative. Video only platform, no articles allowed. 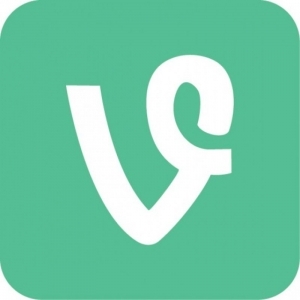 Six examples of content marketing on Vine. How are brands utilizing Vine videos. Essential tips on how to effectively use Vine for your business.